Deidre Ashton, LCSW, is a trainer/consultant who delivers trainings to public and independent schools and not-for-profit organizations in the development of racial competence to better serve their student/client communities. As a former executive director and supervisor for the Center for Family, Community, & Social Justice, Deidre has trained school based therapists and other school personnel to provide counseling and academic support from a context centered systemic approach rooted in cultural competence/humility and racial equity with the goals of enhancing the learning capacity of all students, and creating an environment conducive to learning. Deidre has also taught human service professionals at graduate and post-graduate institutions in the areas of developing and implementing socially just, and culturally sensitive counseling practices. As a parent volunteer at her child’s school, she founded and currently co-leads the Parent Association Committee for Advancing Racial Equity in our School (PA CARES). Deidre maintains a private psychotherapy practice specializing in couple and family therapy and clinical supervision and she serves on the leadership team of the Therapy Center of Philadelphia, a not-for-profit feminist based psychotherapy practice serving women and trans communities through the lens of intersectionality. Sarah Halley is an organizational development consultant and experiential educator with 18 years experience, working primarily on team building, leadership development, inclusive strategic planning, and diversity/cultural competence. She co-facilitates a series of workshops for White People Confronting Racism, based out of Training for Change, a grass roots, nonprofit training center in Philadelphia dedicated to global social change. Sarah is also the founder and co-director of Playback for Change, a multiracial improvisational theatre troupe that uses playback theatre as a vehicle for social change, and is an international leader and trainer in the international Playback Theatre movement. Sarah also has a background in engineering and spent 8 years as a classroom teacher in the Philadelphia area. Ali Michael, Ph.D., is the co-founder and director of the Race Institute for K-12 Educators, and the author of Raising Race Questions: Whiteness, Inquiry and Education (Teachers College Press, 2015), winner of the 2017 Society of Professors of Education Outstanding Book Award. She is co-editor of the bestselling Everyday White People Confront Racial and Social Injustice: 15 Stories (2015, Stylus Press) and The Guide for White Women who Teach Black Boys (2018, Corwin Press). She also sits on the editorial board of the journal Whiteness and Education. Ali teaches in the mid-career doctoral program at the University of Pennsylvania’s Graduate School of Education, as well as the Graduate Counseling Program at Arcadia University. In the 2017-18 school year, she will hold the Davis Visiting Professorship at Ursinus College. Ali’s article, What do White Children Need to Know About Race?, co-authored with Dr. Eleonora Bartoli in Independent Schools Magazine, won the Association and Media Publishing Gold Award for Best Feature Article in 2014. She may be best known for her November 9, 2016 piece What Do We Tell the Children? on the Huffington Post, where she is a regular contributor. For more details see www.alimichael.org. 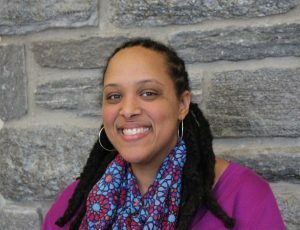 Toni Graves Williamson is a nationally recognized diversity practitioner and consultant, now serving as the Director of Equity and Inclusion at Friends Select School in Philadelphia. Toni is a founding faculty member of the National Diversity Practitioners Institute, and she has served on the faculty of the Student Diversity Leadership Conference. Toni co-founded the Mid-Atlantic Region Diversity Conference. Using her knowledge of organizational change management, she conducts diversity climate studies and trains educators in cultural competency and institutional strategic planning as a principal consultant of the Glasgow Group. Toni is a lead facilitator for the Race Institute for K-12 Educators and a member of the creative team of the Multicultural Resource Center at the Association for Delaware Valley Independent Schools. Additionally, as a longtime Friends schools educator, Toni provides professional development opportunities for Quaker schools through a partnership with the Friends Council on Education. ​Frederick Bryant was an organizational development practitioner, with an extensive background in individual, group and organizational change. He served in various roles such as management consultant, trainer, researcher and executive coach with non-profit, public sector, and Fortune 500 enterprises. As an adult educator he taught Understanding Group Dynamics at Temple University, and currently teaches Human Systems’ Diagnosis at Philadelphia College of Osteopathic Medicine. 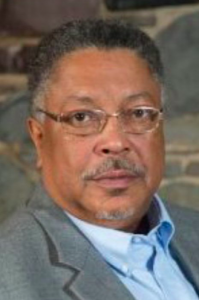 Frederick had a distinctive competence in across race dialogue and diversity and inclusion interventions. He developed an award winning professional development program for African Americans. He led two long-term culture change efforts that resulted in these organizations receiving the coveted NAACP award for exceptional improvement in race relations. Dr. Bryant facilitated experiential workshops for People of Color, supporting participants to become better able to recognize internalized racism and learn to diminish it in their lives, both personally and professionally. Frederick was a co-founder of the Race Institute, and a lead facilitator for three years. His imprint on the institute will endure as long as the institute does.